Cool and crisp - Mint Green is such a lovely color to use for your wedding! From gem stones to floral details, Mint Green has a lot of presence in nature and inspires some really great color combinations. We're featuring some exquisite Mint Green wedding details for you today. Let us know which one is your favorite! These Mint Green ceremony doors create quite the backdrop in this photo! We love it! 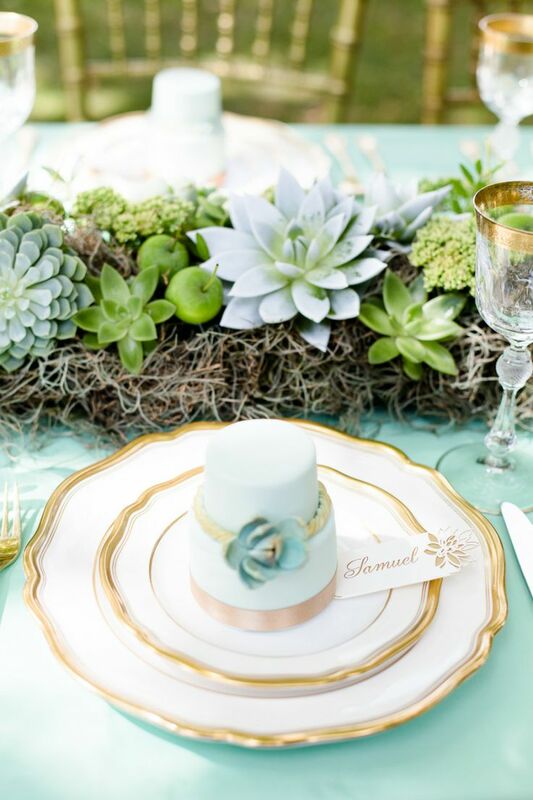 This sweet and elegant Mint Green table setting really sets a beautiful tone for this event! The detailing in this Mint Green succulent bouquet just makes our jaw drop in awe of it's beauty! 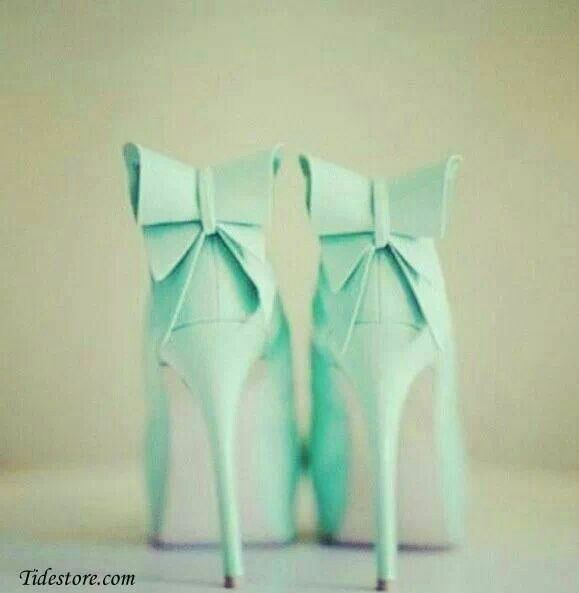 We love the bow detail on the back of these Mint Green Shoes! This Green Amethyst ring from Gemvara really is a beautiful alternative to a more traditional diamond ring. We love the colored gowns that Vera Wang has been featuring and this Mint Green version is no exception! We love the detailing on the back! "Mint to be"! These mints (and the DIY for the wrapper) can be found on Martha Stewart Weddings. What a fun idea! 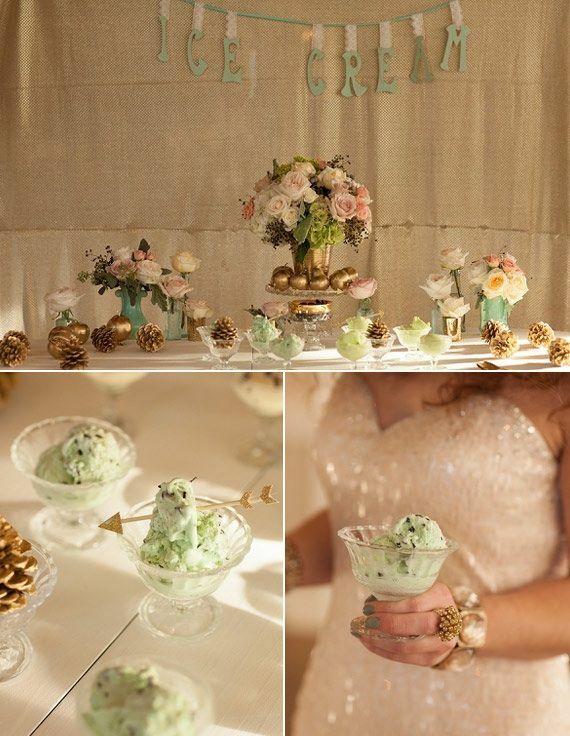 A Mint Ice Cream Display at your wedding? Yes please!